A new study looking at social networking discovered that females who apparently base their self worth on their appearance tend to share more photos online and maintain larger networks of online contacts. 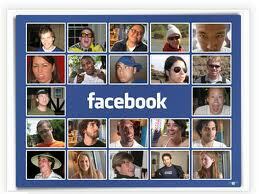 Females who identify more strongly with their image and appearance use Facebook as a platform to compete for attention. The purpose of the study, “Contingencies of Self-Worth and Social-Networking-Site Behavior,” was to explain certain online behaviour on social network sites: the amount of time subjects spent managing profiles, the number of photos they shared, the size of their online networks and how promiscuous they were in terms of “friending” behavior. 311 participants with an average age of 23.3 years – 49.8 percent of whom were female – completed a questionnaire measuring their contingencies of self worth. The CSW Scale (contingences of self worth) measures a person’s self-esteem based on internal and external sources of influence. Stefanone notes that the women in this study who base their self worth on appearance were also are the most prolific photo sharers. Self-esteem reflects how we feel about ourselves. Do we think we are worthwhile? Do we feel good about ourselves? – I am a good person. I am competent. – Or do we feel bad? – I am a failure.- Of course in our day to day affairs we have our successes and failures, our highs and lows, so none of us would demonstrate being consistently up, unless we were a little arrogant. – I am God’s gift to mankind! Ha! I’m sure all of us at one time or another has reflected on the behaviours of others finding them seeking attention or being needy and concluding they may have low self-esteem. The above study would indicate in a more clinical situation that all of us may be showing our self-esteem to the world without realising our behaviour is a reflection of ourselves. In the modern world with its digital interaction, its social media and online networking, the forms of communication have changed but our need to define our self-worth remains the same. We seek self-worth; we seek an identity; we seek to belong. I find it a curious result from the study. Those who base their self-esteem on what the study called “private-based contingencies” such as academic competence, family love and support, and being a virtuous or moral person, spent less time seeking the approval of others. One could argue that such a person doesn’t care what others think of them, however I might more inclined to say that such a person doesn’t think they’re worthy, they know they’re worthy. Or at least I could say they are convinced they are worthy. I have observed over the years that successful people, truly successful people – those who have had measureable success in school (Masters, Ph.D.) or in business (accumulation of wealth) or in a profession (doctor, lawyer) – have a higher degree of self-esteem which is independent of the approval of others. Why? They seem to “know” that they are good, that they are worthy. – Whether you recognise my Ph.D. or not is irrelevant, the fact that I have a Ph.D. recognised by a respected institution and by my peers means I am worthy no matter what you think. At the end of the day, yes, we all seek some approval from others. But those of us who “know” we’re good, spend less time doing it. Michael A. Stefanone, Ph.D., Derek Lackaff, Ph.D., and Devan Rosen, Ph.D.
Social-networking sites like Facebook enable people to share a range of personal information with expansive groups of ‘‘friends.’’ With the growing popularity of media sharing online, many questions remain regarding antecedent conditions for this behavior. Contingencies of self-worth afford a more nuanced approach to variable traits that affect self-esteem, and may help explain online behavior. A total of 311 participants completed an online survey measuring such contingencies and typical behaviors on Facebook. First, exploratory factor analyses revealed an underlying structure to the seven dimensions of self-worth. Public-based contingencies explained online photo sharing (b¼0.158, p < 0.01), while private-based contingencies demonstrated a negative relationship with time online (b¼0.186, p < 0.001). Finally, the appearance contingency for self-worth had the strongest relationship with the intensity of online photo sharing (b¼0.242), although no relationship was evident for time spent managing profiles. Self-esteem, in regard to communication, is the evaluative element of the perception of oneself. It is self-appraisal, your perception of self-worth, attractiveness, and social competence. There are three primary influences on self-esteem: reflected appraisal, social comparison, and contingencies of self-worth. Reflected appraisal refers to messages you receive from others that assess your self-concept. For example, we are not able to believe that we are smart if the ones who are important in our lives tell us that we are slow or dumb. Social comparison is evaluating ourselves by comparing our own abilities, attributes, and accomplishments to those of other people. When we surround ourselves with others whom we perceive to be superior to us, our self-esteem tends to diminish, while when we surround ourselves with others whom we perceive to be not as talented as us, our self-esteem tends to inflate. Lastly, contingencies of self-worth is how our self-esteem is influenced by what is perceived as most important to us feeling good about ourselves. For example, one person’s self-esteem could be highly contingent on doing well in academics and having a lot of friends whereas another person’s self-esteem could be highly contingent on their performance in athletics and adherence to moral standards. Individuals protect their self-esteem by exercising a self-serving bias, which is the tendency to attribute successful behavior to oneself but to assign external circumstances to one’s unsuccessful behavior. For example, a football wide-receiver will give himself all of the credit for a miraculous catch but will blame the quarterback for a dropped one. The tendency to emphasize one’s accomplishments and downplay one’s failures is common. People will be unlikely to learn new skills or gain knowledge unless they become mindful of this tendency. Optimal self-esteem comes from significance accomplishments without expecting a reward. It is the unconscious effort to please others without expecting anything in return and is unlikely to occur if you place yourself at the mercy of other people’s appraisals. Optimal self-esteem develops, paradoxically, when you concentrate on accomplishing goals and dreams rather than building self-esteem.